A £6m scheme of roadworks at Kirkgate in the city centre is “on track”, Wakefield Council has said. The project has involved the filling in of the subways and will see a new roundabout and traffic signals installed and the introduction of dedicated cycle routes, the authority said. It will also include removing the old central reservations of Kirkgate and putting new kerbs in place and “improved” access to Kirkgate Railway Station. Coun Matthew Morley, Wakefield Council’s cabinet member for transport and highways, said: “We are just over half way through the £6m Kirkgate project which is on track and due for completion in late spring. 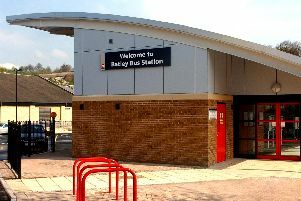 The council said the pavement, on the opposite side to Wilko, had been widened as steps, walls, ramps, fencing and trees leading to the underpass have been removed.